A new set of organizations has combined customer centricity with innovative power to create an outside-in approach to the market. These organizations are not driven by what they're good at. They start with the market and design their strategy around it, which enables them to be ahead of the curve in discovering new market opportunities and develop new products and services faster than ever before. What sets these organizations apart is how they relentlessly listen to their customers, innovate and adapt their business model to build the ideal customer solution. When they can't do so themselves, they collaborate with outside parties to complement their in-house competencies with the competencies they're missing to enable new customer solutions. As a result of their customer focus, outside-in organizations operate according to a reversed value chain - the customer becomes the starting point and the value chain is the result of understanding customer needs and requirements. 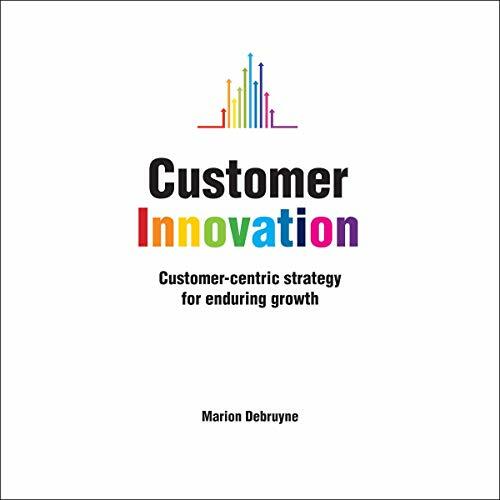 Innovation expert Marion Debruyne explains how to become an outside-in organization by constantly connecting with the market to anticipate changes, converting customer insights into actionable change and collaborating with others where their own capabilities fall short. Packed with real world examples from leading global companies, Customer Innovation provides the framework needed to shift from a product-oriented to a solutions-oriented focus and from a transaction-based to a co-creation-based customer relationship. ©2014 Marion Debruyne (P)2019 Brilliance Publishing, Inc., all rights reserved.